Providing you with a complete datacenter solution including hardware firewalls, switches, storage, servers, structured cabling, cooling and power solutions, User management and various monitoring tools, helpdesk tools and software installations, firmware upgrades. 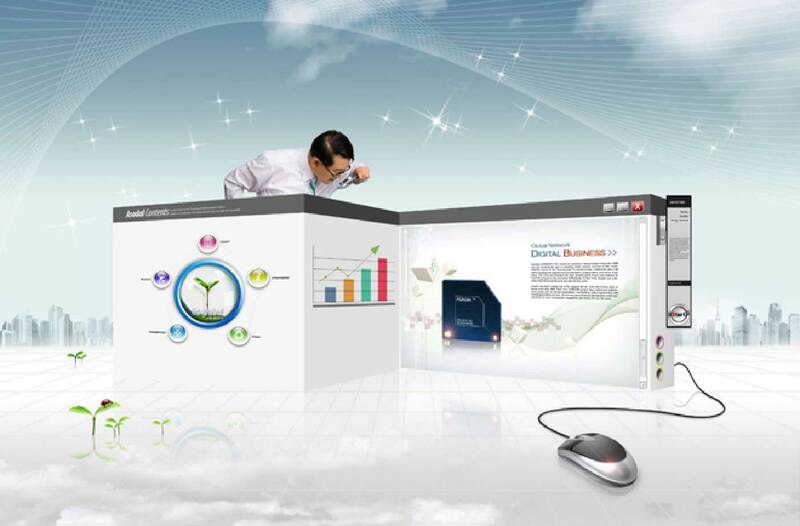 We can provide complete website solution right from concept to online visuals. Using the latest platforms, design software and latest techniques to provide you with an immersifying and responsive website. We can provide hosting solutions and domain registrations. A complete internet based image creation center. A complete end to end solution for ERP and related works. We can provide expert advice and guidance right from selecting your ERP, Requirement Gathering, AS IS, TO BE, Business Blueprint, Customization, Testing, and Go Live. We provide a comprehensive SAP Consulting and Support Services in - MM – Material Management, FI/CO – Finance and Controlling, SD – Sales and Distribution, HR – Human Resources, PS – Project Systems, ABAP – Technical Support, Basis –Technical Support. We can provide other Technical functions and support as per your requirements. Technical Support, Basis –Technical Support. We can provide other Technical functions and support as per your requirements. Specializing in your kind of business. We provide state of the art solution for the Datacenter, right from planning to handover, a complete step by step integration of hardware and software. Providing you with Servers, Switches, Firewalls, ISP setup, Routing, Mail servers, Virtualizations, Storage needs, Backup and restore, Device configurations, Cooling and power management services, Structured cabling, Networking, User control and access, File system setup, Domain related services, Helpdesk setup and monitoring. Al Osais functional consultants specialize in each of the major SAP modules and can help you effectively map your company's business processes to SAP's best practices. Our team includes consultants who have experience in handling implementation and support project for customers. Reduces storage and runtime problems caused by the constant growth of transaction data, makes master data easier to manage and to keep up to date enables data to be accessed at a later date. Al Osais Project Systems consultants deliver comprehensive project management Solutions.